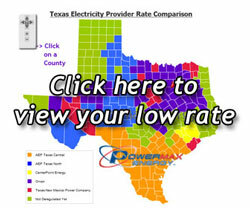 In January of 2002, the State of Texas deregulated electricity, which provides you the consumer the opportunity to choose your Retail Electric Provider. How do I know which Retail Electric Provider to use? How will I know this will not effect the service I have? How can I really tell that I am going to save money? At PowerMax Energy, we understand how confusing deregulation can be, and we are here to help! PowerMax Energy was started because we have families too and most everyone needs to gain control of their expenses. For years the electric companies have dictated to us how much we will pay for our electricity. According to the Dallas Morning News May 11, 2005, TXU has raised their price by over 45% since deregulation began. There are very few of us that an extra $20-$50 per month in our pocket wouldn’t be nice, but odds are the incumbent utilities are not going to give it to us. PowerMax Energy is in a unique situation to be a “broker” of electricity. We have access to 25+ different Retail Electric Providers and this allows us to find extremely competitive rates for individuals, families and businesses based on their own unique needs. Typically, we can save a home, business or church 1 to 3 months of electricity cost each year. For a business, that directly impacts the bottom line. Just ask yourself how much revenue you have to generate to equal that much profit. For a church, what ministries, salaries, building programs, children’s events, etc. could you put that kind of money toward? Our goal is to serve individuals, families and business for years to come, by becoming a one-stop shop for your electric service and through a commitment to exemplary client service. It would be our honor to serve you by helping you save money on your electricity costs. We will consult with you at no cost to you and help you find the Retail Electric Provider that best suites for your needs. Quit throwing that money away and use it for something that you want or need! We look forward to helping you and thank you for your interest.